When training for anything, whether it be for endurance, strength, quickness or just to get in shape, everyone wishes that they had their own gym. Having your own gym comes with a load of advantages that you just don’t have at the gym. You don’t have to share equipment and wait for someone to finish using the machine before you can, which consumes a lot of time. You don’t have to worry about slobs not cleaning up after themselves either whether it be not wiping down the bench after they are done, or people who can’t be bothered to put away weights or equipment after they’re done. Not only is this annoying, it can cause for more wasted time in trying to find where ever they left the equipment in a game of hide and seek. There is one huge and obvious negative when it comes to having your own gym at home, and that is the expense. 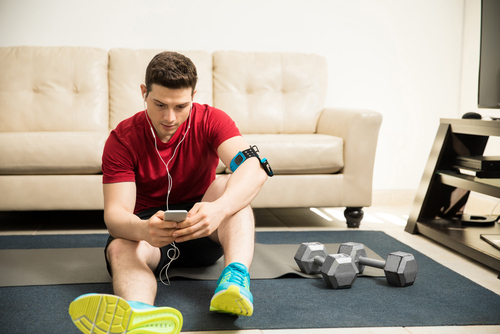 You aren’t going to have access to all that equipment for as little as a gym membership would cost, so you have to choose the equipment you are buying wisely. If you are looking to start your own home gym, there are some basic rules you should follow to get the most bang for your buck. 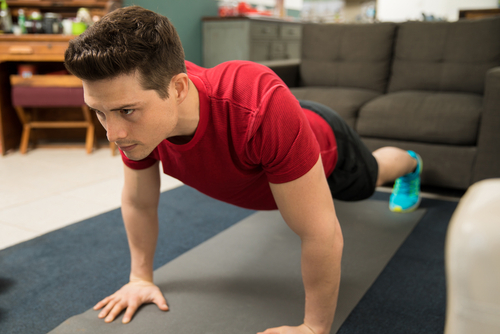 Listen to this advice if you want to get the most out of working out from home. This is pretty obvious, but then again you can easily screw up here if you don’t know what specifically to buy. As far as bars are concerned, you really only need a straight bar to do most exercises, and a second curling bar would be useful for arm movements. Also you are going to want to buy two dumbbell bars, as dumbbell exercises give you more versatility as far as what movements you can do. Dumbbells are also important in the interest in maintaining equal strength in each of your arms, where a straight bar could encourage you to favor your dominant arm. When you are looking for your straight bar, you are going to want to buy an Olympic barbell straight bar, which weighs about 45lbs. This bar is a little bit heavier and expensive than other bars, but you’re better off buying the heavier bar in the long run. Barbells are some of the best tools to have in the gym because they allow you to perform combination exercises, which work multiple muscle groups simultaneously. If you’re looking to build as much mass as possible, these exercises are the way to go. We’re talking about exercises that should be the foundation of your routine, squats, dead lifts, military press, and bench press for example. Getting a bench is essential if you plan on doing any form of bench press, seated shoulder presses, rows, biceps, triceps and other movements. Basically the bench is going to really open up your options as far as what exercises you can do in your routine. If possible, get an adjustable bench that can both be elevated and depressed to give your workouts even more variation. Cost is another factor here as well, as more expensive benches will be able to tolerate higher weights. If you plan on exercising long term, a bench with a heavier capacity is the better choice. Lastly, there are some other accessories you can add to your home gym to better improve the quality of your workout. A squat or power rack is an excellent choice here as it gives you the support needs to perform squats, bench press and other exercises. The only downside to the squat rack is the price, which can turn many people away. If you plan on doing this from home long term, a rack is a good investment. Other good accessory options include pull up bars, or a dip station. Pull ups are one of the most effective exercises you can do when it comes to developing your back and works the rest of the upper body also. Dip stations are great for developing the triceps as well as developing the core muscles. Don’t worry about purchasing a million pieces of secondary equipment from the get go, buy more as you progress and the need arises. There are plenty of additions out there.